With an excellent business plan and clear turn over projections, the Tirta Ayu Spa brand is an exciting business to be in bed with. 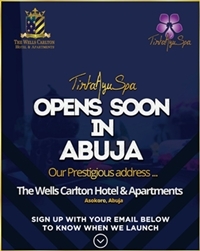 Tirta Ayu Spa Nigeria is open to partnership opportunities with people who are passionate about the Spa wellness industry, are strongly interested in what we do and are particular about top-notch service. Kindly fill the form below. Thank you for your interest.